Calyx Software is a software company with rich expertise in providing solutions to mortgage professionals. Currently, one of their products (Calyx PointCentral) is the undisputed champion among mortgage broker software. In fact, in 2010 it was the most preferred loan origination platform for 72.5% of mortgage brokers. People who use it regularly praise it for its user-friendliness and time-saving features. The software has gained much success thanks to its ability to take care of all parts of the loan origination process, and the option to seamlessly sync with third-party apps and software. Moreover, Calyx PointCentral provides maximum security while still allowing users remote access to their databases. Perhaps one of the best features of the software is the Calyx Network, which you can use in two ways. Firstly, it can help with compliance by facilitating communication with fraud and compliance vendors. Secondly, it gives you instant access to more than 200 loan vendors, so it saves you a lot of time you would normally spend searching for them. Pulse is a mortgage CRM software, designed by Focus IT to answer the needs of the mortgage industry. It offers the full functionality of CRM softwares, such as marketing and sales automation, customer support, analytics, etc. Even task management and communication can be automated. In fact, the makers of Pulse claim that the software can save you close to 100 pieces of manual communications per loan. Pulse also boasts a user-friendly interface. It can be easily integrated with all versions of Calyx PointCentral, so you can have your CRM and your LOS in one platform. The software syncs with Outlook, too, so you can keep track of email communication regardless of the channel through which it is received. Pulse is a great option to try out hassle-free, because there no set-up fees and subscription works on a month-to-month basis. This software boasts numerous marketing and lead generation capabilities. By using Mortgage Quest, you can keep in touch with mortgage professionals who can bring you more referrals such as realtors and financial planners. It also lets you track the people who gave you the most referrals, so you can focus on establishing lasting relationship with the right people. The software’s email marketing platform lets you send personalized and targeted emails to improve your efficiency, and ultimately, your conversion rates. 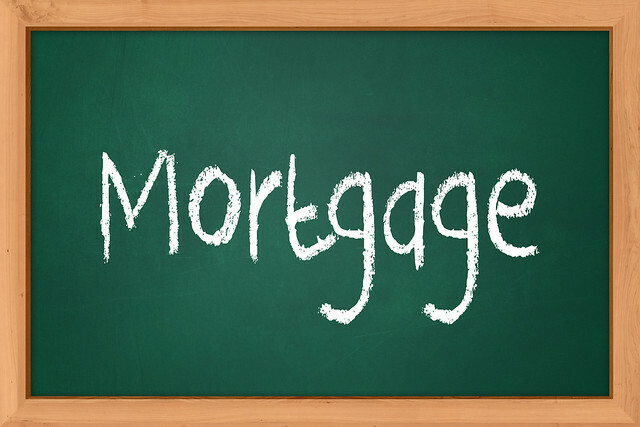 Mortgage Quest is equally useful when it comes to sales. You can track leads and their place in the pipeline, import leads you got from somewhere else and even set up reminders for yourself to follow up on particular prospects. If you are looking for one platform for both your CRM and LOS, Encompass is the software for you. It’s great not just for automating most of your tasks, but for automating quality management tools, as well. Often, the amount of paperwork involved in originating a loan is so overwhelming that mistakes are bound to happen. And here’s another time saver: Encompass’ Total Quality Loan (TQL) program makes sure your loans are compliant and free from mistakes. Encompass’ CRM system is very customizable and integrates with Act! and Outlook. The WebCenter function is incredibly efficient in letting you communicate with your prospects throughout the life cycle of the loan. It also gives you online updates on the statuses of the loans you are working on. The CRM system is useful even after the loan is closed. It helps you create templates for your email marketing campaigns, so you can build solid relationships that last. One of the strongest points of this software is that it’s an all-in-one platform, so if anything changes after the loan is closed, its file will be automatically updated. All these four suggestions will be great software solutions to your CRM and LOS needs. Pricing varies depending on the size of your operation, so make an inquiry and choose the one that suits you best. Have you used any of these programs? What’s your opinion on them? Please share your thoughts in the comment section below. If you are interested in more tips on being a successful mortgage broker, be sure to check out our piece on the best mortgage broker schools in the US.